APLA’s inaugural Book Prize Awarded to Lori Allen! We are happy to announce the winner and honorable mention for our 2014 APLA Book Prize. Congratulations to Lori and Matthew! Lori Allen, The Rise and Fall of Human Rights: Cynicism and Politics in Occupied Palestine. Stanford University Press, 2013. More than documenting the human rights industry in the Palestinian territories, this lucidly written and brave book addresses the whole human rights system, its promise, its failures, and the everyday cynicism it engenders in Palestinians today. Yet cynicism for Allen is a powerful analytical construct, not just a description of people’s pessimism in the face of repeated, incessant indignities, active repression or banal confinement. Cynicism is a critical stance, holding open the promise of another way in the future, or the embodied remembrance of another way in the past. And those alternatives themselves remain active, even in the human rights apparatuses, discourses and organizations that so often fail. Taking the reader into the first human rights NGO, the politics of international aid, the security apparatus, and humanitarian events, Allen also shows the everyday performance of human rights by variously positioned Palestinians who have to wear it “like makeup” in order to announce the right to statehood. 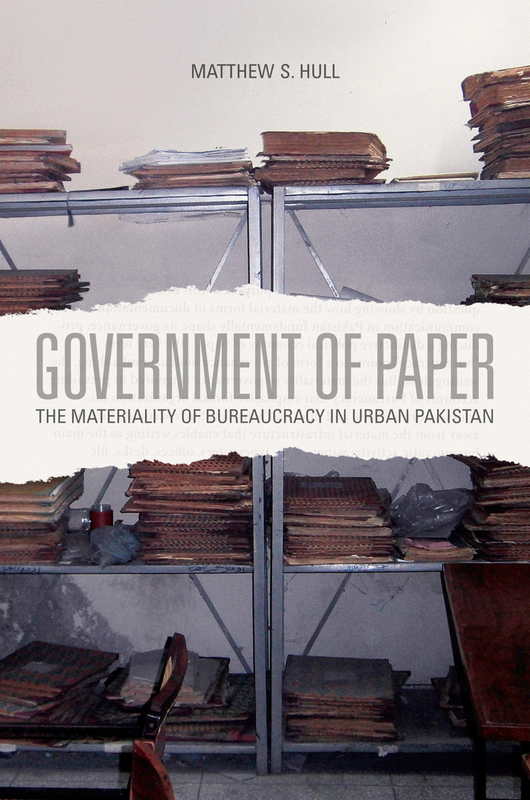 Matthew Hull, Government of Paper: The Materiality of Bureaucracy in Modern Pakistan. University of California Press, 2012. Hull’s book succeeds brilliantly at bringing paper to life. By exploring the role of government documents of all kinds in the making of the state of Pakistan, Hull brings new insight into the work of bureaucracy and the world-making of maps, lists, certifications, plans and petitions. Lucid and lively–never has the boring business of bureaucracy made for such an enjoyable and theoretically rich read.